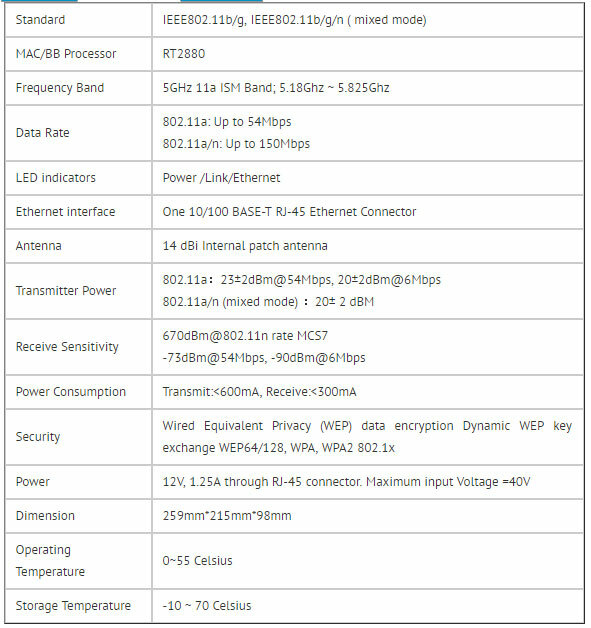 AWS5816N1 CPE which fully supports the features and functional compliance of IEEE 802.11a and IEEE 802.11a/n standards and operate in 5GHz bands. It enables the deployment the latest updated QoS–WMM, WMM-PS ,support MIMO, connectivity at high throughput from an extended distance and giving end users the greatest performance. W-LAN Outdoor Application transfer rates.